There’s a lot to be said for keeping it in the family. But, just as today’s families are increasingly complex and extended, there are also a whole host of challenges facing family businesses in 2017. To help you get to grips with successfully running a family business - and keeping everyone happy - we’ve put together a checklist of our Top Five challenges that face today’s family business and how to deal with them. In a family business, there is the desire to give everyone a specific role so that everyone is treated equally. The problem is that in business, not everyone is equally capable: some are better at certain things than others. To achieve best business results, family businesses need to ensure that the best people are deployed to each job - whether or not these people are in the family. Whilst there can be advantages to several family members having an overall understanding of various aspects of running the company, it is also vital to ensure that each family member is an ideal fit for the specific job that they are supposed to do. Simply creating positions for family members or giving them jobs that don't fit their skills often backfires. This can get even more complicated because once someone is employed to do a job, it can be very difficult to move them out of it - both in terms of the legal side of things and the family emotions involved. Much better to set strict recruitment criteria in advance for each job in the company and make sure that only the best candidates - whether family or not - are considered. In a family business it is also important to be clear about the policies of the business that employees need to adhere to. It is essential to develop detailed employment policies that everyone understands and accepts as part of their terms and conditions of employment. These policies should cover every aspect of employment, including the behaviour and performance standards against which employees will be evaluated once employed. 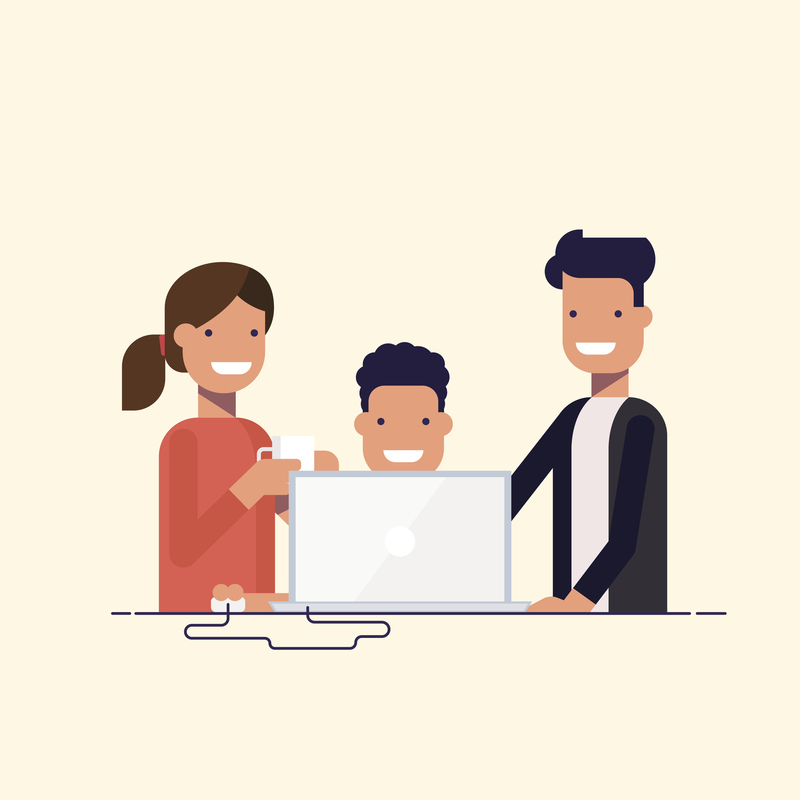 Having clear policies will help to eliminate misunderstanding or assumptions about family participation in the business and clarify the qualifications that family members need to be considered for employment or leadership roles within the company. Such policies also bring consistency and ensure that everything is fair for all family members and also for non-family members. Closely related to fairness, compartmentalisation is the ability to separate out the business issues from the family issues, and not be swayed by personal feelings - either positive or negative - between family members. In any business there should ideally be compassion - and some degree of leeway - for those who are going through a difficult time. But a family business must beware of letting feelings and concerns overwhelm the business need. Business is business, no matter who is involved. In the same vein, it is worth having family rule that business is only discussed during business hours, or you will find that it becomes all-encompassing and intrudes on other events like holidays and family celebrations. It can be wonderful when a family business includes and involves people from one or more different generations but it can also be a minefield! The older generations will feel passionately about the business that either they founded or consider their own, whilst younger members of the family will have their own ideas about how to make things work - and especially perhaps about how to embrace new technology and working methods. Some degree of compromise is essential here. If the younger members are truly to be part of the business then they need a genuine opportunity to contribute ideas and expertise - perhaps for example on an allocated regular basis. Yet they also need to understand and respect that the wisdom and experience of the older generation is a valuable asset not to be overlooked. If needed then some arranged mutual training sessions or joint mentoring in specific skills and talents may help to engender mutual respect and knowledge sharing. The younger members of the business may also feel a pressure to stay in the business and view it almost as a kind of prison that keeps them bound to the family business and prevents them from fulfilling their own dreams. This should be discussed up front so that the older generations are free to form alternative succession plans and the younger generations to pursue other avenues if this is what they want to do. If your family business is facing this challenge, you are not alone. According to the US Conway Center for Family Business, 30% of family businesses transition to the second generation, 12% to the third generation, and only 3% to the fourth generation. With only around a third of family businesses continuing to the next generation, it is essential to have effective succession planning in place for any hope to survival of a family business. Fair Business Loans provides business loans for UK family businesses. So if your family business needs additional business funding then get in touch with us at Fair Business Loans and we will see what we can do to help your family business grow.